Two weeks after celebrating the topping off of The Bond Condos, Lifetime Developments recently marked a similar milestone at Bisha Hotel and Residences, just a couple blocks away. 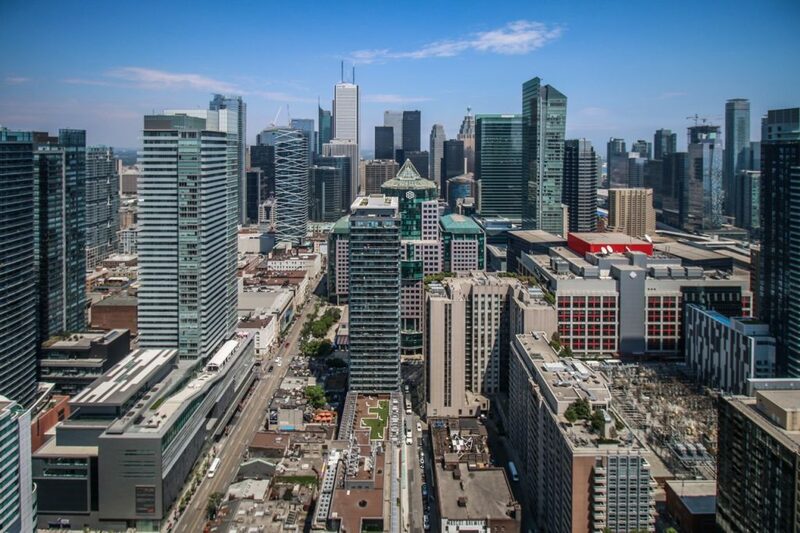 Located near the corner of King Street West and Blue Jays Way, the much-anticipated mixed-use project now stands 44 storeys above Toronto’s vibrant Entertainment District. To mark the occasion, Lifetime Developments and INK Entertainment held a special topping off party for workers complete with a catered lunch, refreshments and prizes. 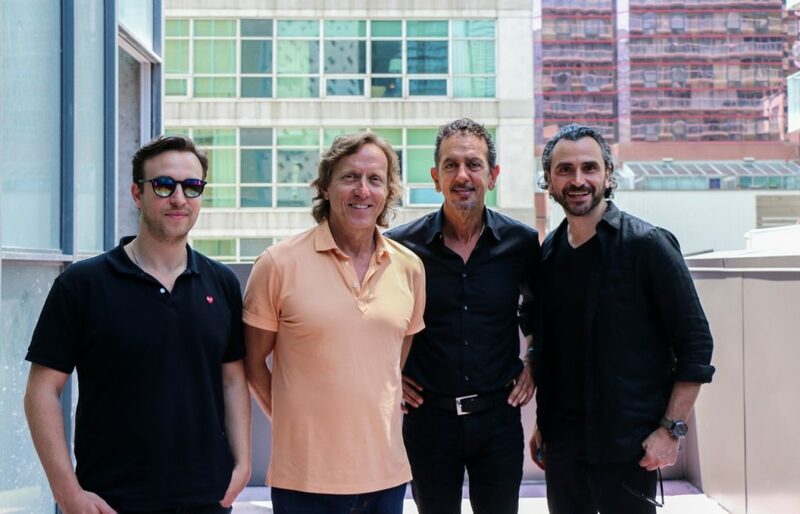 Notable guests associated with the project included Michael Pearl, Vice President of Lifetime Developments, Mel Pearl, Principal of Lifetime Developments, Charles Khabouth, CEO of INK Entertainment and Alessandro Munge, Principal at Studio Munge. The Wallman Architects-designed tower boasts a modern glass and steel exterior and houses a total of 355 units designed by the renowned interior design team at Studio Munge. 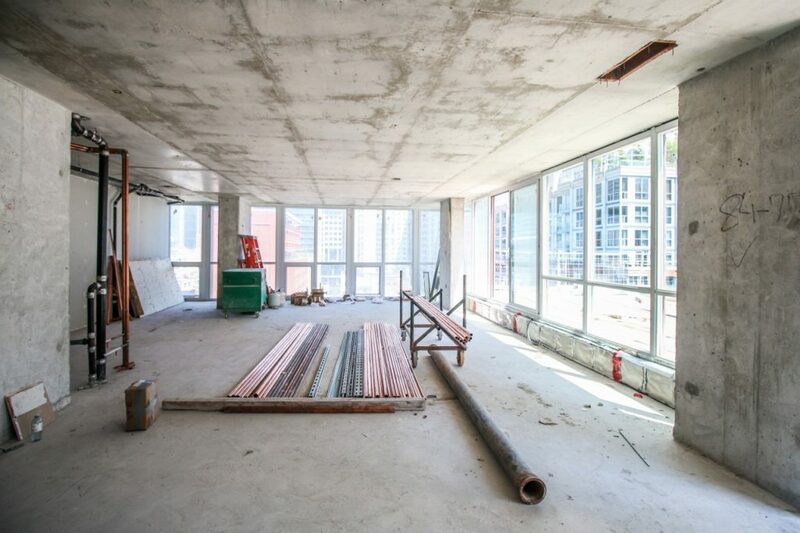 The thoughtfully designed floor plans sport open concept living spaces appointed with nine foot ceilings, expansive windows and exposed concrete ceilings. Standard features and finishes include pre-finished engineered floors, contemporary kitchen cabinetry, natural stone countertops and backsplashes, and a stainless steel appliance package with a stove, microwave oven, integrated refrigerator, exhaust fan and dishwasher. 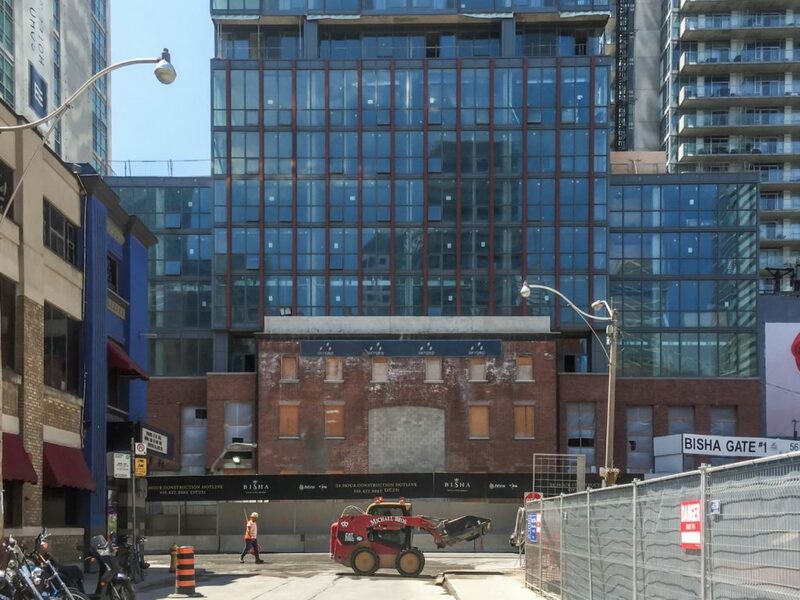 At the base of the building sits the heritage brick facade of the19th-century George Crookshank House which once stood on the site and used for a range of purposes from a private residence in the 1800s to the home of the Second City Toronto comedy club. The carefully refurbished red brick structure will form the dramatic entryway into the stylish Studio Munge-designed lobby which comes with a 24-hour concierge. Other amenities include pet walking/feeding services, housekeeping, fitness centre, business centre, and a wealth of in-house entertainment options including a ground floor café, a casual dining restaurant on the second floor, and a private residents lounge with catering kitchen and wet bar on the third floor. However, the pièce de résistance in terms of amenities is the rooftop restaurant, bar and infinity pool situated on the 44th floor. 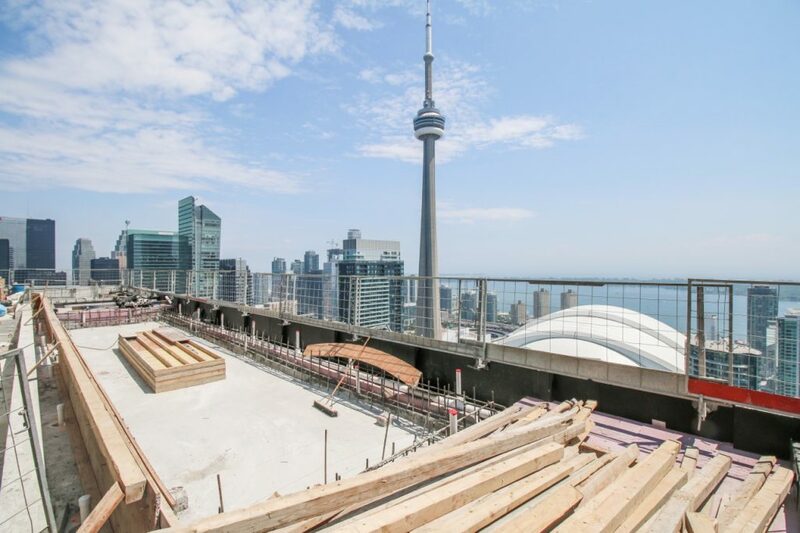 This impressive indoor and outdoor space will allow guests to enjoy spectacular views of the city skyline while having a dip in the pool or indulging in world-class fare and drinks at the bar. When complete, Bisha will also be home to the city’s newest private-label boutique hotel brand complete with an executive suite designed by Lenny Kravitz. The music superstar’s company, Kravitz Design, was enlisted by Lifetime Developments and INK Entertainment to design the exclusive suite inspired by Kravitz’s music, art and travels. 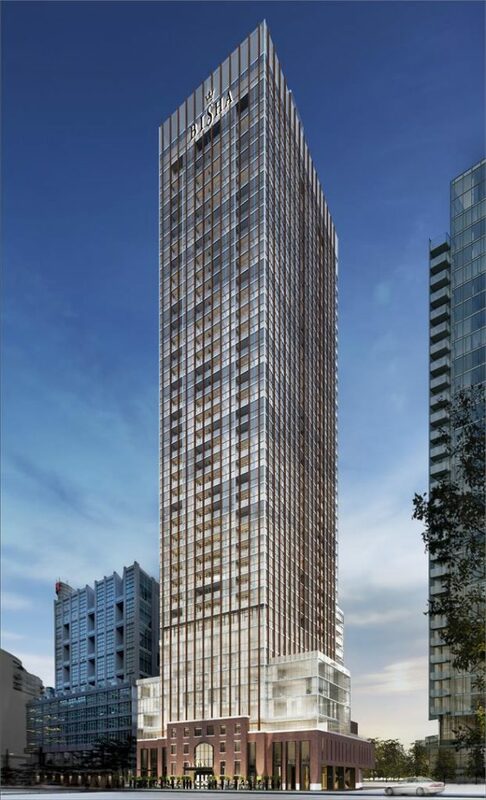 Available units at Bisha start from $469,900. To learn more about the development visit the sales centre in Suite 302 at 373 King Street West, open Monday to Wednesday from 12pm to 6pm and weekends from 12pm to 5pm.